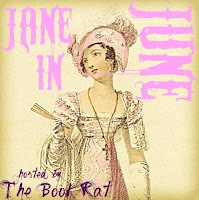 Earlier in the week, a bunch of Austen Authors told us which two Austen characters from different novels they would pair up; author Jack Caldwell had a little extra to share on that subject. The remainder of William’s days at Mansfield Park had passed pleasurably. Each day he had walked with Miss Dashwood and some of his relations—sometimes in the woods or fields, but mostly in the vast gardens. William began to note that their chaperones invariably outstripped them or lagged behind, so the two had found themselves quite alone for large portions of their strolls. He and Margaret fell into easy conversation about Dorsetshire or Mansfield or some of the places the gentleman had seen in his profession. Neither had talked of anything of importance—it had been the presence of the other that was sought. The daily walk had been the highlight of William’s day. Soon, all things must end, and before either had been ready the day had come for their last walk. On the morrow Lt. Price would have leave to take up his command in Lyme. This walk had been different—the easy conversation gone, unsettlement filled the air. Sure enough, Mr. and Mrs. Yates had stopped along the way, for the stated intention of more closely observing a lily. William had been miserable. He was leaving the next day, but did not know what to say to Margaret. He could not write to her—that would be highly improper with no understanding between them. Would he ever see her again? Would she want to see him? It had been the lady who broke the uncomfortable silence. “I understand you are to leave us tomorrow,” she had said. William had immediately pulled his folding knife out of his pocket and with a quick flick of his wrist had cut the stem free. As he had handed the flower to Miss Dashwood their hands had touched—an electric charge ran through him. He had looked into her eyes and saw them grown large again—beautiful chocolate pools that threatened to pull him in. William had been unable to move—to breathe—he could only stare into her lovely face, framed by those bountiful curls. “May I, if it is not too much to ask … might I trouble you … for but the smallest lock of your hair?” His world was one large soft brown sea. Without a word, Miss Dashwood had turned and lifted her hair up to him. With trembling fingers he had carefully cut free a few precious strands. Folding his knife and putting it away, he had removed his handkerchief and placed the lock of hair in it. He had folded his treasure and returned the package to his pocket. When he had been able to look at Margaret Dashwood again her eyes were not only large but shining as well. For the first time he had noticed her lips, moist and full of promise. All he had been able to think about were those lips. Only with a supreme effort had he been able to seize control. Jack Caldwell is the author of Pemberley Ranch, a retelling of Pride and Prejudice set in post-Civil War Texas. Oh that was sweet! I love the Margaret/William pairing and I'd love to read the entire story. 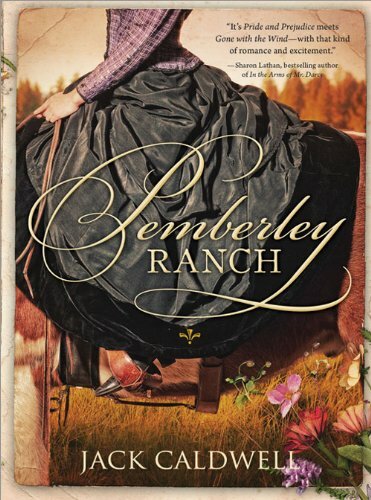 Pemberley Ranch is wonderful. I always enjoy Jack's storytelling and sense of humor. What a sweet and touching love story. I hope to there will be more of their story for us to read. Margaret & William what a great match! She would be the perfect Naval Captain's wife. Frederick Wentworth's sister comes to mind. Perhaps Jack will publish Margaret & William's story. This excerpt comes from Persuaded to Sail, a sequel to Persuasion. I hope to publish it one day. ooo, yes. i like this pairing. such a sweet scene between the two. i like the sparks.